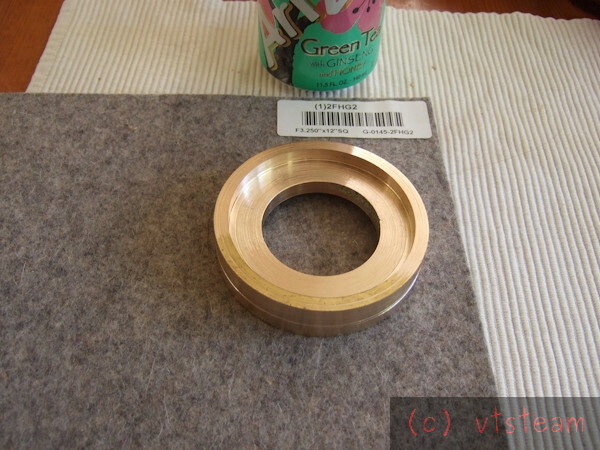 Hoping to get at least one good bearing cover out of it, Neubert, and if lucky, two. And as usual thank you kindly, bud! And here they are. Found a little casting flaw in one of the covers, but we'll call it good enough for who it's for. 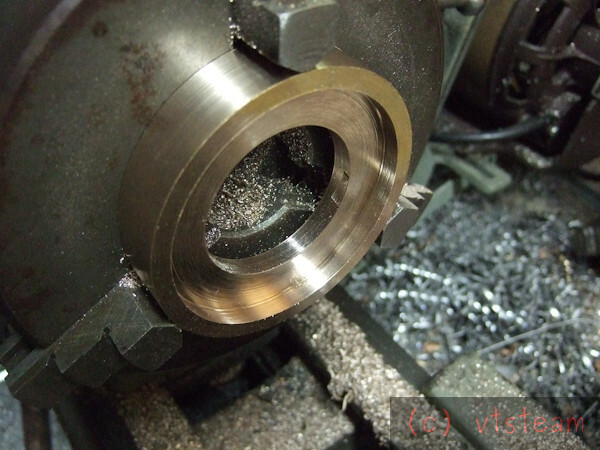 Sawing the front bearing cover in half so it can be installed without pressing the bearings back off of the spindle. The rear cover doesn't present that problem. 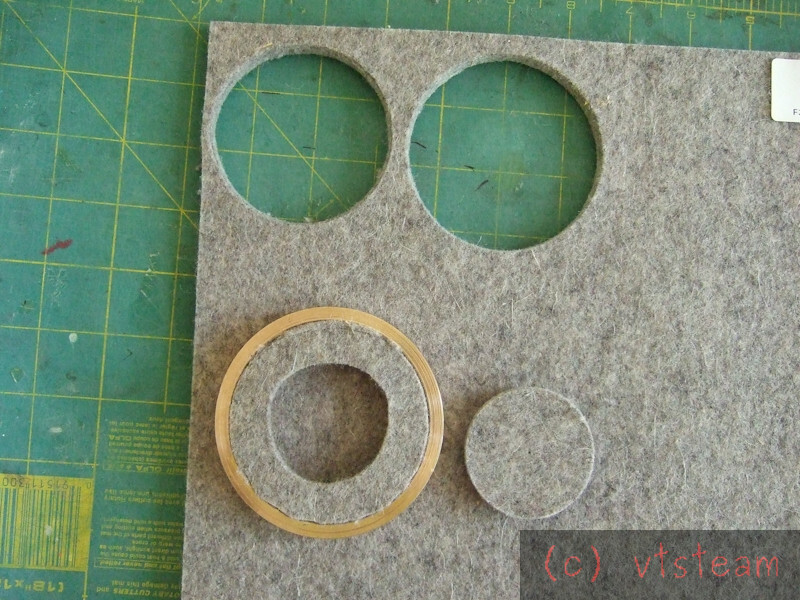 Punching screw holes in the felt. First time I've used this leather punch tool -- I bought it in a bargain bin a couple years ago, for $3.99. Well, good investment -- It worked perfectly for the wipers. 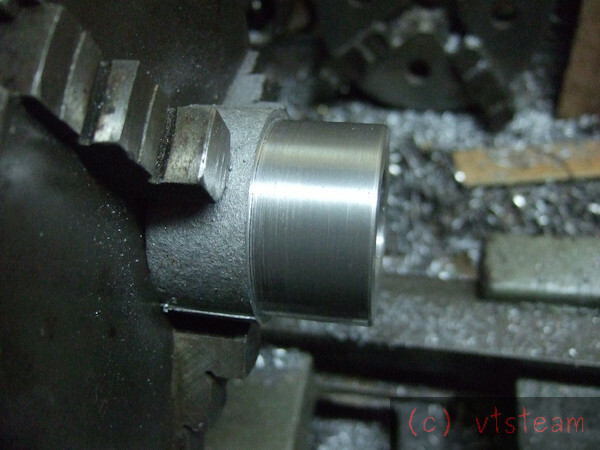 In order to fit the rear bearing seal, I realized that I needed to make a spindle spacer -- it goes between the rear pulley and the rear bearing. I took its O.D. from the front spindle boss, since my front and rear bearing covers are the same size. That's a little under 2 inces across. The I.D. 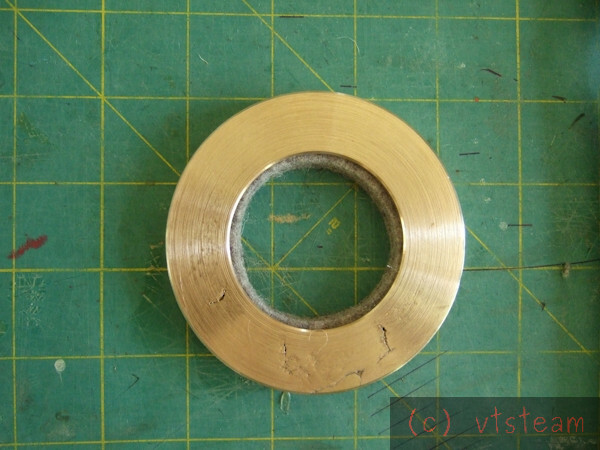 needed to fit the rear of the spindle -- that's a little over an inch in diameter. The length of the spacer needed to be about an inch long. 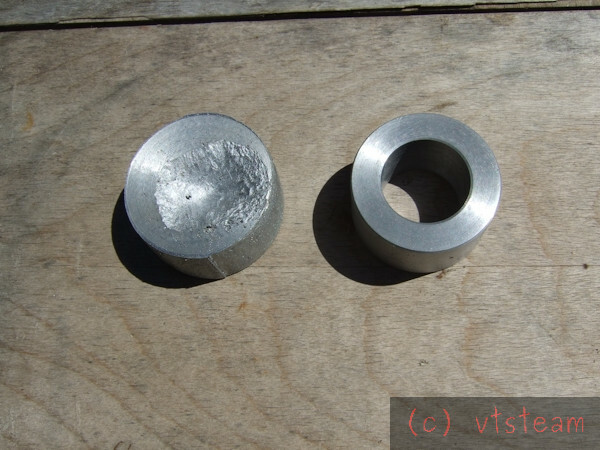 So I began looking for 2" diameter scrap aluminum, at least 1 inch long. And I came up with this big sprue. Looking at it more carefully, I saw stamped on it "Al- Cu 4." Now why did I stamp a sprue? 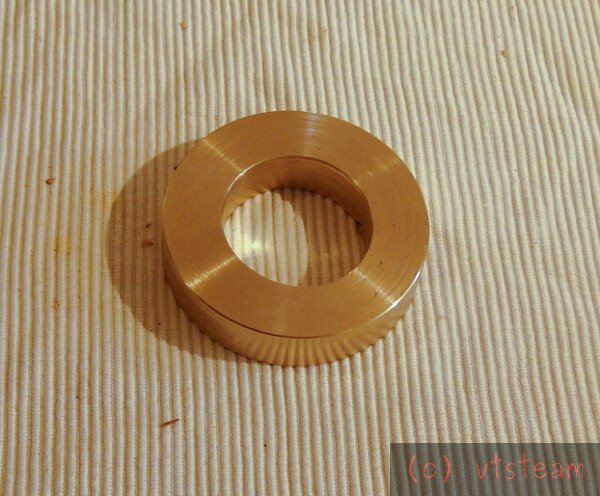 Oh yes, it's an aluminum copper alloy I experimented with in an earlier thread https://madmodder.net/index.php/topic,10705.50.html -- and made the lathe's bed end bracket with in this thread. Since it's been a couple years I wondered if it's properties had improved through aging. The non-artificial type! Anyway it was just the right size, so I requisitioned it. 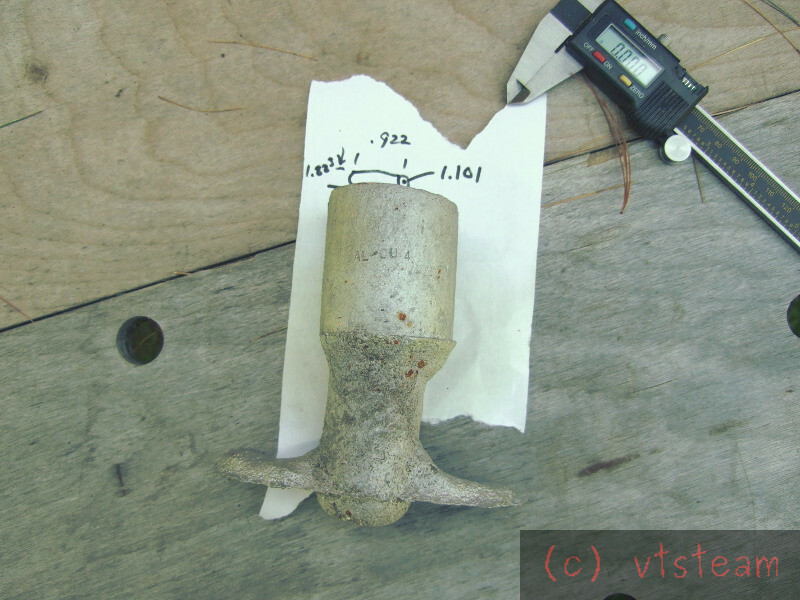 It seemed to machine about the same as my typical cast aluminum. 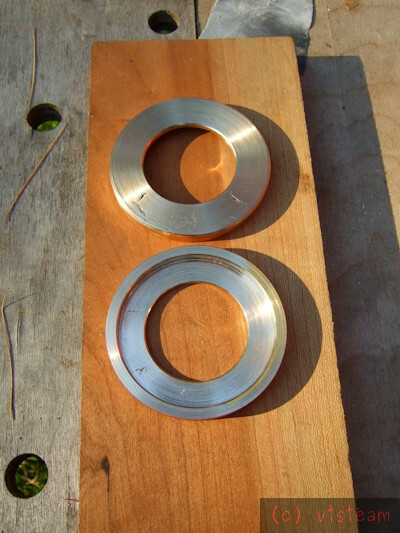 Maybe a little finer finish, but with the same ready tendency to weld a chip to the lathe tool and mess that up. It felt "crunchy", as noted before, not chewey, in case that means anything to anybody! 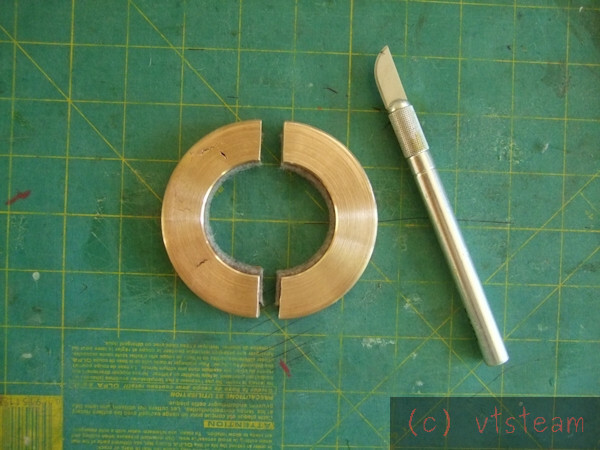 And here is the finished spacer, along with a piece of the sprue. To me, in very bright sunlight, I thought I could detect a very subtle copper tone to it, but maybe that was just my imagination. I still don't know if it's any stronger than my conventional cast aluminum ( I use pistons, mostly). But the specs say so, so I'll accept that. Nice job on the wipers. Brings back memories of a set I made a while back. 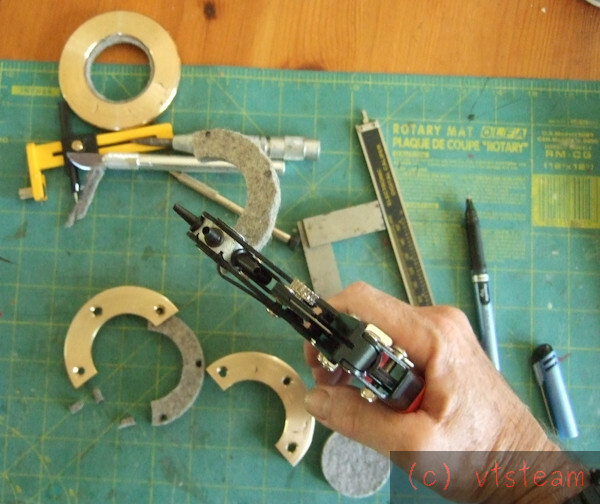 Lets just leave it at "NEVER cut felt with a laser!" Thanks PK, I laughed when I read about the laser! I can just imagine the felt was gone in a bit of smoke. Probably didn't smell too good. I wasn't sure that making felt wipers for the spindle was a good idea or not. I don't think the 7x12 Asian mini-lathes have them. I think they use same size plastic bearing covers without packing. I was wondering if they use O-rings instead. But a tear-down video I watched didn't show them. 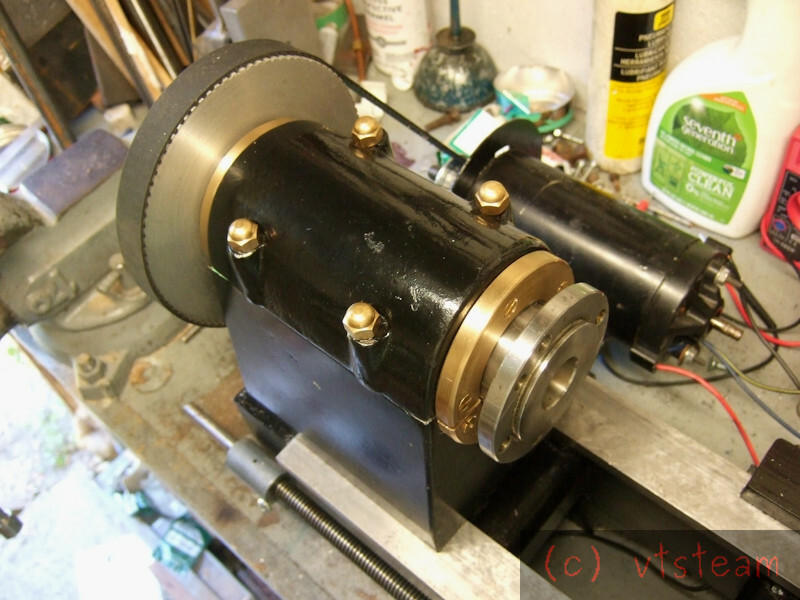 The spindle in this lathe is designed for a mini-lathe and purchased on sale. The covers and felts are almost all fitted as I write this. I was a bit worried that they were too tight, because there was definite drag on the spindle with the front felt in place. 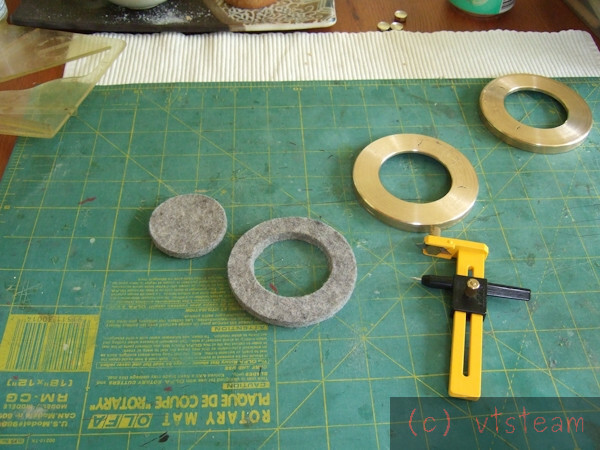 But I put a few drops of oil on the felt, and there was a big reduction -- enough to feel that friction will probably disappear altogether with a little break-in time once the lathe is working. 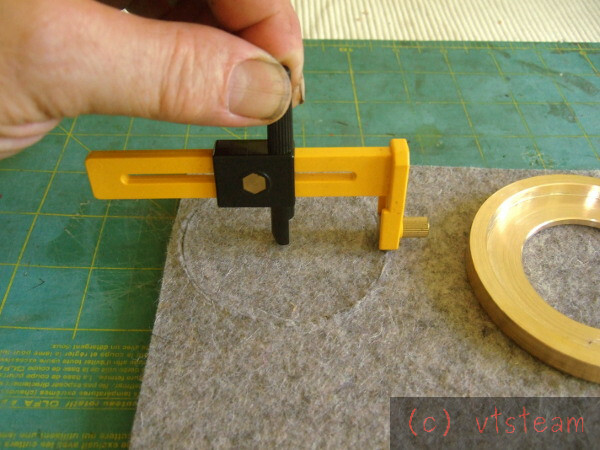 Otherwise It's pretty tricky to try to trim back a small amount of felt, once they are cut out. Well, maybe if a laser worked! (and you had one). Thanks again PK, that was funny! Finally finished putting the covers on! That was a lot harder than I thought. Locating them on a round corner casting with draft, and drilling and tapping holes so they didn't interfere with the spindle or hit the spindle bore was really tricky and time consuming. I probably could have made the clearance bore on the covers a bit wider than I did, but I used the same dimensions that the mini-lathes show for their plastic bearing covers. 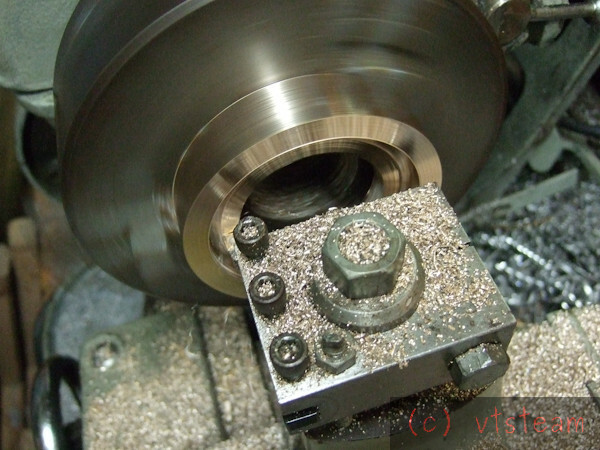 Since they don't use any seal or packing (to my knowledge) they show only about a mm clearance to the spindle, in order to keep swarf out. With the hard felt seal, that opening could have been larger, which would have made locating the covers a little less of a hassle. Oh well, They're in now and I can move on. Glad to see you're back at it. It's amazing how much the paint transformed it. It looks real swish! Andrew, thanks very kindly -- it means a lot coming from you! 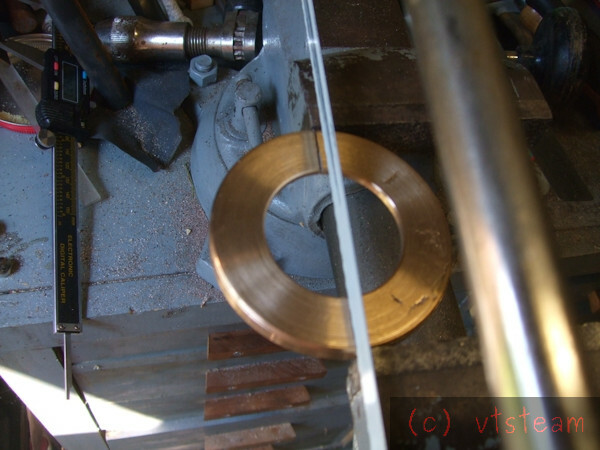 I kinda like the way jewelers lathes look, and also I really love the Rolls Royce lathe (I'll find a link in a little bit), though I know I'm not at their level of workmanship. 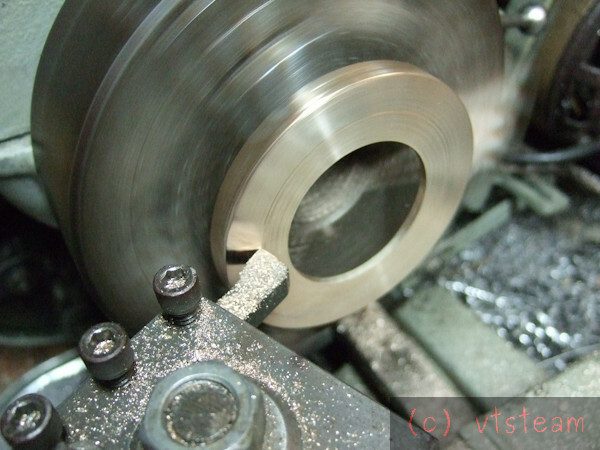 Still, I wanted to make this a personal lathe, and I like old machines, so it's kind of coming out that way. I didn't draw plans for anything except the headstock -- it's just evolved along with this thread. Kind of ironic that I started it 3 years ago asking folks here what lathe I should buy, because I wanted to build engines right away, and the Gingery wasn't up to the job, and my Craftsman too big to fit on the bench of my tiny shop. I said I didn't want to build a lathe, because that would just delay building engines. Somehow that concept slipped..... Uhhhhhh, yes Steve it would!